A lot of people today use smartphones and mobile app technology to have up-to-date information right at their fingertips, but not every profession, Clyde Fraisse notes, has been quick to embrace these advances. “I have been in North Florida, and there you will find growers that grow peanuts and livestock, and they are not as up-to-date on this technology, and not all of them have smartphones,” he states. It’s also important to note, he adds, that some farmers are in such remote parts of Florida that even cell phone technology is tough to come by. “Their ability to get a smartphone depends on where they are,” he points out. That being said, not all growers do things strictly the old-fashioned way. Going mobile, Fraisse notes, is not just for city folks. At the university, Fraisse is working to help Florida’s agricultural producers use climate data and information to reduce the risks to their crops and increase their profits. Agricultural producers, Fraisse says, can take advantage of what technology tells us about climate science, so they can make better decisions about what they do for their operations. And getting the most sophisticated information about, say, long-term climate projections, means taking advantage of the latest in information technology—including smartphones. University of Florida researchers have built a smartphone app designed to manage irrigation systems for citrus and strawberry growers, available in versions for iPhone and Android-based systems. 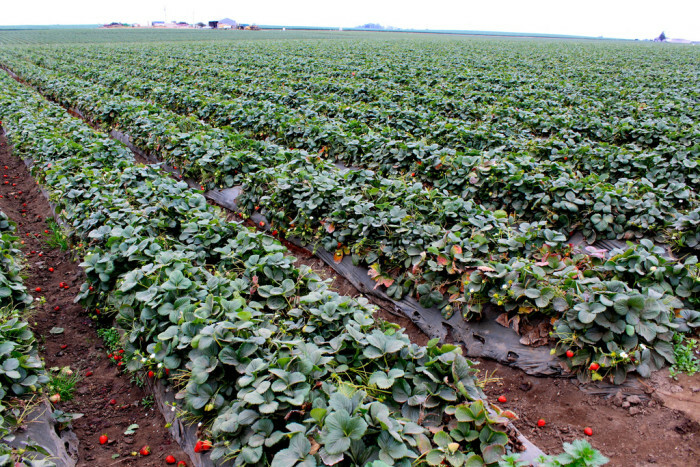 Fraisse has developed a strawberry irrigation app and web-based climate information systems for growers. For one thing, Fraisse notes, growers might otherwise need to get this kind of information off the web, but they’re finding that having it instantly available at their fingertips is making a difference. “My impression is that if you need any information that is available, it is available on the web, so typically the grower would have to be at home and on the Internet to get it,” he says.